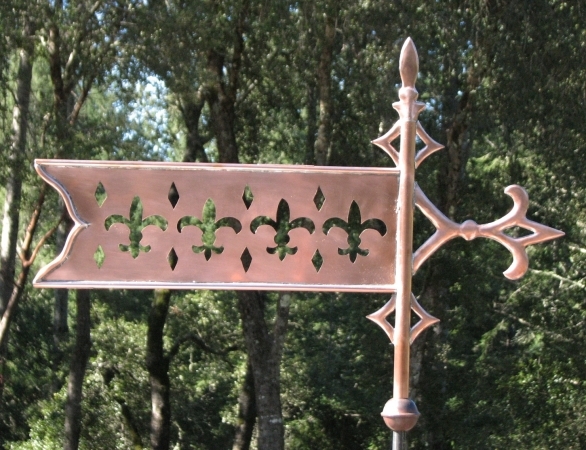 We love this Fleur de Lis Banner Weathervane. 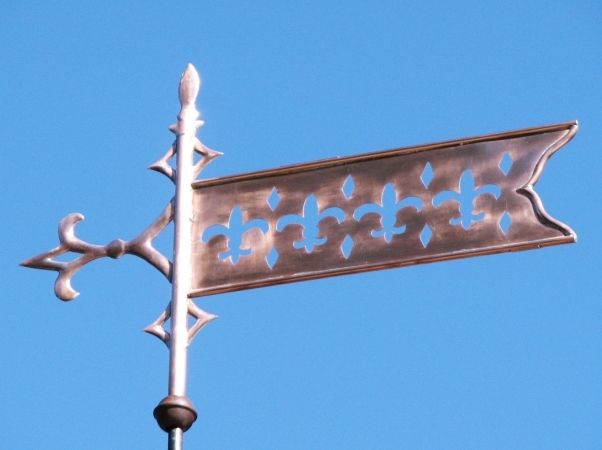 It was first commissioned by the city of Normandy, Missouri for mounting on one of their government buildings. For their order they requested ‘Lucky Pennies’ be attached from the year of the city’s incorporation and the current year. They also requested the banner be inscribed with the city name and the current year. 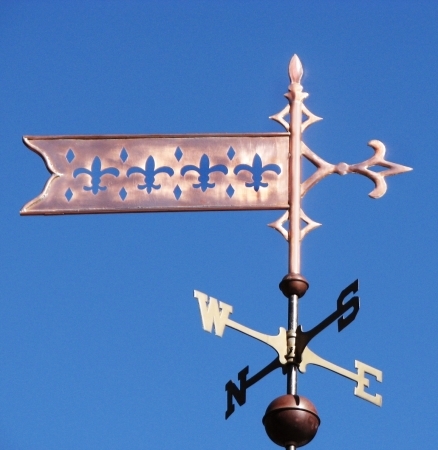 It is unclear where the fleur-de-lis originated. Among the Egyptians, Persians, Arabs and Greeks, this arabesque evoked warrior-like power. 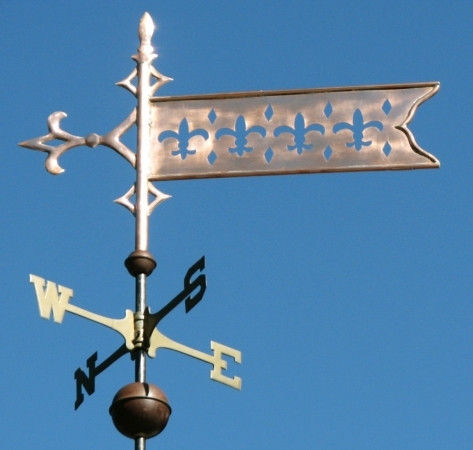 In France it is widely used in city emblems including the coat of arms of the city of Lille, Saint-Denis, Brest, Clermont-Ferrand, Boulogne-Billancourt and Calais.